The land of the “King’s Court” are located about 400 m above sea level, facing south, south / west, highly suited for the cultivation of olives for the warmth that is absorbed by the vein of gypsum and slowly released to the surrounding soils by creating a unique microclimate that allows olive trees, even at this latitude, to vegetate and produce fruit quality and unique characteristics. 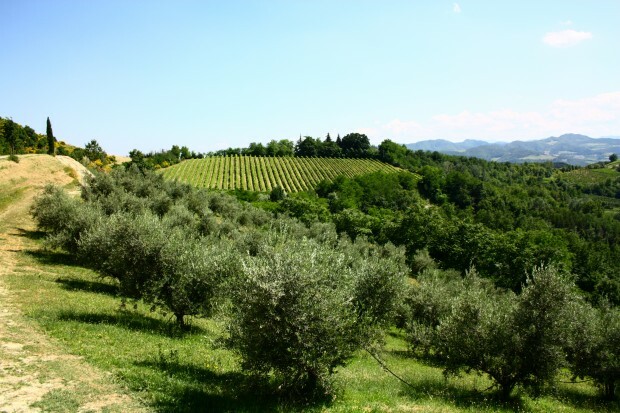 The olive grove has 350 varieties of plants “local” and 350 plants “Ghiacciola” with traditional planting distance, to ensure the plants optimal growing conditions in order to improve the quality of the harvest. 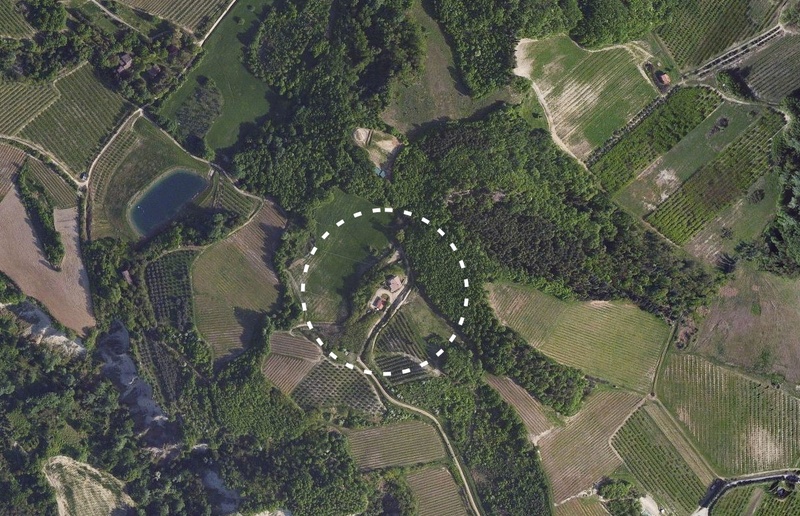 We produce a small amount of wine for family use from a small vineyard of Sangiovese Richter 1131. 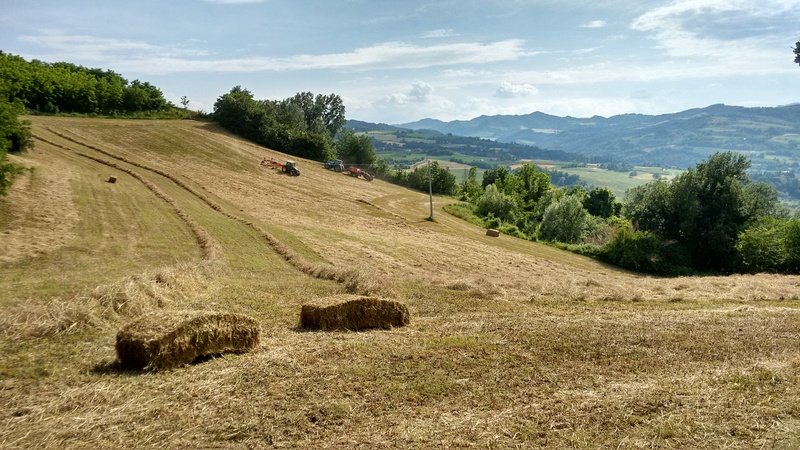 The vast plain near the apartments is sown with forage for hay production we use to power our cavall and those of the guests. However, most of the farm is maintained as forested area, in order to ensure a fair value crops / nature. Therefore, it is frequent to encounter, during a walk, deer, hares, porcupines, hawks and fauna autocna typical of the park.